Lynchburg-Clay Middle School has announced its October Students of the Month. They are sixth grader Aidan Reynolds, seventh grader Ryanne Woods and eighth grader Landon Wolfe. 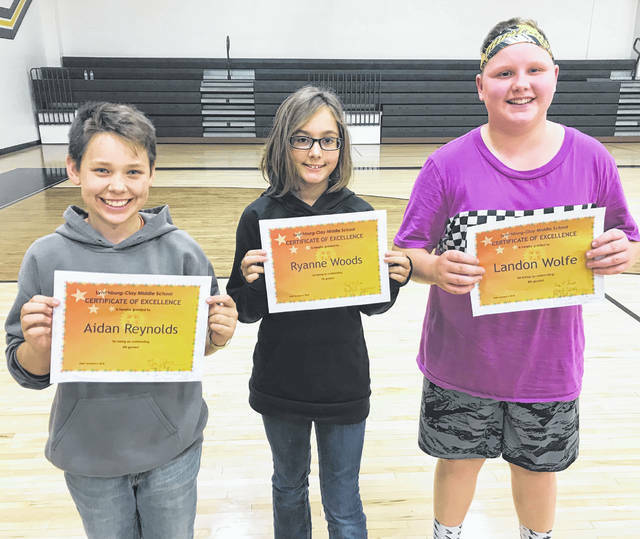 https://www.timesgazette.com/wp-content/uploads/sites/33/2018/10/web1_LC-students.jpgLynchburg-Clay Middle School has announced its October Students of the Month. They are sixth grader Aidan Reynolds, seventh grader Ryanne Woods and eighth grader Landon Wolfe.